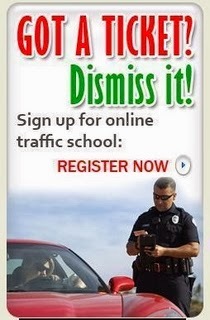 Traffic School Q&As: Most drivers make __________ driving errors for every 20 decisions they make while driving. Most drivers make __________ driving errors for every 20 decisions they make while driving. Question: Most drivers make __________ driving errors for every 20 decisions they make while driving. • Over 90 percent of the information we take in while driving is visual. • Every week more than nine people are killed in accidents that involve distracted driving. • Dizziness, nervousness, and lack of concentration while driving can result from. • According to the National Highway Traffic Safety Administration, what percentage of the population has admitted to falling asleep while driving? • On average in the U.S., one friend, parent or family member dies every__________minutes in alcohol related crashes. • True or False: Minors are allowed to use a cell phone while driving if it is equipped with a hands-free device. • One in every ____ drivers on the road at any given time who are DUI is actually arrested. • When you detect your emotions beginning to dominate your judgment and actions while driving, you should practice_______. • According to the NHSTA, in 2000 an average of one person every ____ was injured in crashes where police reported that alcohol was present. • True or False: Drivers do not have to yield the right of way to pedestrians in unmarked crosswalks at intersections. • _______ paint on a curb allows you to stop long enough to load and unload people or objects. Drivers of non-commercial vehicles must stay with their vehicles. • One of the most important things you can do while driving is to concentrate on the__________of your passengers. • About__________in every ten Americans will be involved in an alcohol-related crash at some time in their life. • Statistically, the everyday motor vehicle is the number ___ cause of death among people ages 15-30 in the United States. • New design modifications for California Drivers Licenses include a __________ layout for persons under age 21. • Cruise control should not be used__________. • When a pedestrian is crossing a street or highway guided by a dog or carrying a white cane (or a white cane with a red tip), vehicles must __________. • The National Highway Traffic Safety Administration estimates that some ________ lives could be saved every year if all vehicle occupants used seatbelts. • Evaluate weather conditions, the condition of your vehicle and other risk factors, including_________, every time you drive. • If you have to drive on a long trip, get plenty of rest before you leave and plan on stopping every ____ hours. • You must use your vehicle's headlights any time from __________ before sunset or sunrise as well as at any other time in which your visibility is less than __________. • Every 15,000 miles, __________. and Every 30,000 miles, __________. • Your vehicle will not accelerate as quickly in the mountains due to the thin air and ____. • Cars traveling at 35 mph need approximately _____ feet to stop in ideal conditions. • One of the most important factors in preventing collisions is maintaining proper __________. • ____________ are the most frequent victims of collisions between vehicles and pedestrians. • In Florida, it is illegal to drive on the left side of the road for passing purposes when __________. • Most state vehicle codes state that you shall not drive after taking a substance that __________.